I began training in Korean martial arts, including Tae Kwon Do and Soo Bahk Do. In 2002, I discovered Krav Maga and liked it immediately because it was simple and based on natural instincts. 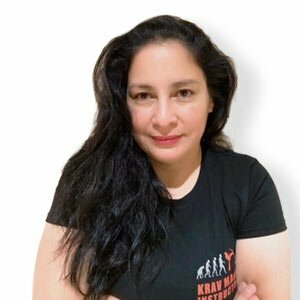 I found that Krav Maga was for everybody and it was ideal for self-defense. In 2006, I attended first part of Civilian Instructor Course and successfully completed in 2007. Since then I have been teaching men, women, and children. I enjoy seeing the transformation of the student as they advance not only with technique but with fighting spirit and mindset.